The latest win by Santa Ana Lane at the Wagga Town Plate is a great start for the Lope de Vega’s top progeny. With over 7 wins and £ 2 million worth of money worn, Santa Ana Lane seems to live up to his owner’s expectations. He also seems to be doing what Lope De Vega’s lineage and descendants have been doing for years. Like his descendants, Lope de Vega was a good racer. He managed to shine on the world’s stage by beating great odds and winning every time. Lope de Vega’s racing career did not, however, start with great optimism. Many people did not think he would perform because they thought he lacked elements, such as class, that depicted a great horse. 11 years down the line, Lope de Vega has managed to prove to the world that he can a great racer. With more than 10 wins and £1 million earned throughout his carrier, Lope de Vega has forced his critics to rethink. 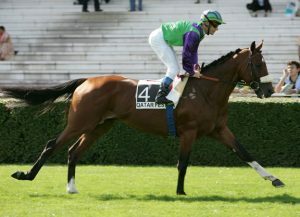 Lope de Vega retired at the Ballylinch Stud after a rosy and successful career. Behind him, he leaves a great line of descendants. Lope De Vega is with no doubt a great sire. The 11-year-old stallion is responsible for many descendants. Lope De Vega has managed to sire 21 winners throughout his lifetime. This includes four group winners and many 2-year-olds who have promising futures. This is despite there being arguments that racetrack performance does not necessarily make a stallion a great sire. Ahead of Santa Ana Lane is Vega magic. Vega Magic is by far the most accomplished of Lope De Vega’s progeny with 12 wins and total earnings of more than £3.5 million. Vega magic is not scheduled to race in the upcoming races. It is clear, however, that he is a performer like his sire. The right man, a majestic horse with more than 9 wins and a total earning on more than £ 500,000 has also worked hard to emulate his sire. Winning races that people thought he wouldn’t has put him on the watch list of many horse racing enthusiasts. Capla Tempress has had 3 wins out of six runs and total earnings of more than £130,000. Capla Tempress is best known for making great wins against any terrain. This is a clear indication that Lope de Vega’s lineage and descendants are doing a great job at the world stages.